Nepal, the city with an exceptional culture, has a lot to offer from beautiful mountain ranges to tremendously rich culture. 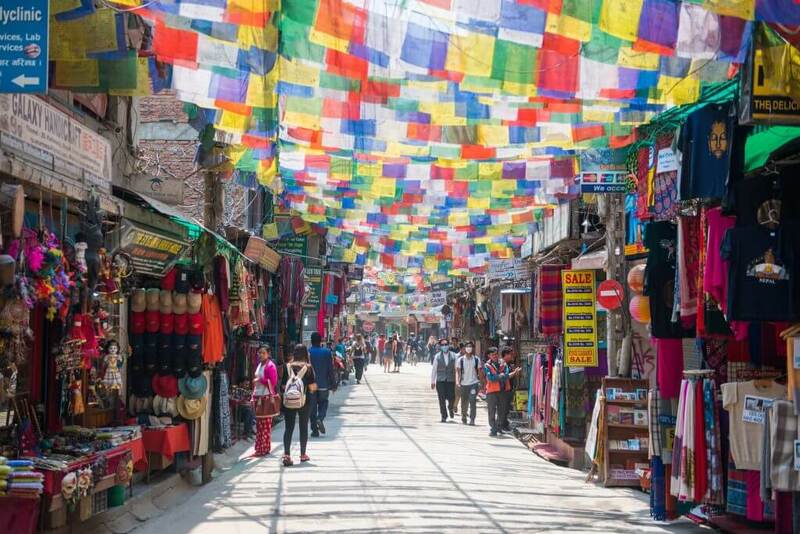 You would marvel at the sight of numerous colorful prayer flags, dramatic landscapes, serene nature and friendly people- so much that it is hard to detach yourself from loving Nepal. Once you’re here, and when you’re done feasting your eyes on some of the most amazing of Nepalese goodies, you might want to look out for gifts for your close friends or souvenirs for self. Take this opportunity to go on a stroll around the local alleyways and shops. Here, you could find different items from Nepal to bring back home. The tourist areas of the country too are packed with stores and stalls to choose from, which sell just about anything. Here, you will a lot of options and way lot to choose from. It is likely you’ll be confused about what to buy and from where to buy. So, we list down the top then famous things to buy in Nepal. Singing Bowls are one of the nicest things one can find in Nepal. These Bowls are made of metal and make a soothing sound when the rim of the bowl is rubbed in circular motion with a wooden stick. Beside the soothing sound, the vibration is believed to produce healing qualities and also creates an ambience for meditation. Singing bowls come in various shapes and sizes, but basically there are only two types of bowls- the machine made singing bowls, and the handmade singing bowls? The hand-made bowls are usually expensive and of a plain brass colour, where as the machine made bowls are perfectly symmetrical, highly decorated and costs lesser than the hand- made one. The Land of Nepal, being dominated by Hindu and Buddhists, provide for some of the best souveiners and has a great religious significance and meaning. These souvenirs reflect the faith and culture of the people. One such painting is the Thangka Painting. A Thangka is a unique painting made on cotton or silk appliqué, usually depicting a Buddhist deity, or monk, scene or mandala. It is not a usual flat art like the usual oil paintings or acrylic paintings, but usually consists of a painting panel which is painted or embroidered over while a textile is mounted and then covered in silk. When in doubt of picking up the perfect gift, you could always rely on fabrics. Fabrics make the perfect portable and appreciated gifts, especially if it is Pashmita. Pashmina is what Cashmere is called here in Asia. Here in Nepal you will find several different types of quality pashmina, and the price is reasonable and varies accordingly. The warm and colorful Pasmina shawls even come with embroidery. Just a simply word of caution- beware of being cheated with Chinese copies of these shawls. Looking for something cheap in Nepal for a gift? Stick to the handmade stuff as they come in handy and are made by honest hands. One such hand -made gift is the rice paper, which is made of a handmade paper from rice husks. These papers are usually used as a base of a painting or a manuscript. These days a wide variety of items are prepared from rice paper. Rice paper journals, calendars, diaries, shades, lamps and photo frames may be a great souvenir to take back home. This is a traditional Nepalese styled dagger, which is considered as the emblem of the country. It is a product of cultural value and is very unique than the other daggers around the world. Today, people use it as utility knife. However, it was a statue symbol of the past. Any authentic Khukuri knife comes with two small knives. The smaller ones are for sharpening the dagger. They are of lightweight and easier to carry. It can be damaged easily. Thus, carry with care. You can also find antique styled heavy ones too.